The Nudge Unit in the UK has had tremendous success. HR could take a leaf from the book of Richard Thaler-pioneered Nudge Unit. “As all women who have ever shared a toilet with a man can attest, men can be especially spacey when it comes to their, er, aim. In the privacy of a home, that may be a mere annoyance. But, in a busy airport restroom used by throngs of travellers each day, the unpleasant effects of bad aim can add up rather quickly,” write Richard Thaler and his co-author Cass Sunstein in their article Easy Does It. Why would celebrated economists – one an immediate winner of a Nobel in economics – be interested in writing about urinating deficiencies in a majority of men? It is because of the work of an economist, who was also an employee at Amsterdam’s Schiphol International Airport. He etched a black fly inside the urinal bowl, slightly left of the drain. The “ingenious” economist perfected the use of “choice architecture”, and resultantly reducing the spillage by 80 percent. Choice architecture is nothing but the different ways in which choices can be represented to people. Whether it is reversing the default option to ‘automatically enrolled’ from ‘having to opt in’ the corporate pension plan or giving the option to donate organs when renewing the driving license. What choice architecture does is it encourages people and “nudges” them to do the right thing, instead of coming out in full force and commanding people what is to be done. Google’s Food Team, for instance, partnered with the Yale Center for Customer Insights to study how behavioural economics can improve employee wellness. They made subtle changes in the order of the placement of food to bring the attention of employees to healthier options and make it easier to choose. So placing the healthier items ahead of the unhealthy food on the shelf nudges the employees to pick those food items. Behavioural economics, like Google’s Food Team showcased, can be deployed to better talent management practices within an organization. In an article on Richard Thaler and his paradigm-defining work in behavioural economics (especially choice architecture and nudging), we discussed the potential of his work on the human resources function. In this article, we discuss the application of choice architecture and nudge theory on specific domains of the HR function. HR, using choice architecture, can design the environment to prompt people to take certain decisions. We look at specifically how the various HR functions can put Thaler’s academic work to practice. For the talent acquisition managers of Uber, attracting talent during the #DeleteUber campaign and later may have come as one of the hardest challenges they have faced in their recruitment career. Big brand – bad brand image; Small brand – lack of a brand identity; Established brand identity – race against competitors. Recruiters never quite have it easy when attracting talent. A smart choice of words in the vacancy listing though, can go on to have a deep-lying impact – if one applies Richard Thaler’s work while inviting job applications. An Uber, for instance, could nudge prospective candidates to a feeling of security and belongingness in its call for applications. 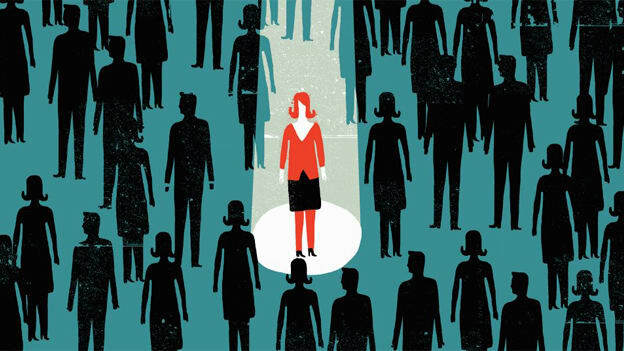 Nudge theory, potentially, could increase the number of applications received for any given job opening – something which can be extremely beneficial (especially to small and medium businesses with not a comparable brand identity or budget to compete with the big guns) to make candidates click on Apply. Offer to joining ratios can be bettered by nudging talent to respond “I accept” to the offer letter email. In the UK, black and minority ethnic (BME) applicants did not have a great passing rate of the judgment capability stage exam of Avon and Somerset constabulary’s recruitment process. Only 40% passed it. It was found that the reason behind this low passing rate is that they had been trying to respond the way a “white candidate would.” The email sent to candidates was therefore reworded to include “take some time to think about why you want to be a police constable.” This made them trust their gut instinct more and resultantly, 50% more BME candidates passed after this minor adjustment. Nudge theory, thus, helped increase diversity in the police force at the recruitment stage. Learning interventions could also use some creativity in the form of nudges. Engagement levels of attendees in trainings are more often than not a concern for L&D leaders. Hence they are always looking for innovative ways to educate the learners. The application of behavioural economics could increase engagement levels of attendees and encourage them to put the learning to practice – helping L&D leaders fulfil the purpose they stand to achieve. Learners could also be nudged to give feedback often – and that too honestly! Performance conversations have been guilty of falling short of their desired objectives, as spoken in several discussions, or written in many articles. Sometimes they end up being counter-intuitive and bring down the morale of the good performers, instead of lifting them to the ‘high performers’ category. Correct usage of words can nudge the employees to take the desired steps – something which has always been desirable. These are just a few examples. Application of ‘nudging’ can be extended to rewards and recognition and employee wellness as well. What makes the ‘nudge’ application-worthy is that it can be put to practice following an agile approach. This makes the ROI measurable, success comes fast, and failure is detected faster. e.g. Compare the engagement levels of original and revised. If the engagement levels are better, deploy it to a bigger audience. If the changes have had no effect, repeat steps 2 – 5. A critique of the nudge is worth noting for HR – the same nudge cannot work in different cultural contexts. It has to be modified based on the frame of reference of the people belonging to that culture. Thus, both agility and versatility are important for the Human Resources function.